Apple will report its fiscal second quarter results Monday afternoon. As always, expectations are for redonkulously good numbers. Wall Street analysts are forecasting iMazing levels of growth in sales and profits. Shares of Apple (AAPL) are up 18% this year. They are only 3% below their all-time high. Apple is worth more than $750 billion. Some analysts -- and investor Carl Icahn -- think Apple could soon have a market value greater than $1 trillion. So Apple will probably need to crush forecasts to keep Wall Street satisfied. Here are all the key numbers you need to be watching out for in the earnings report and how much they are expected to rise from the same period last year. All estimates courtesy of FactSet. Earnings per share: $2.15 -- up 30%. And that EPS number works out to an expected net profit of $12.5 billion. iPhone unit sales: 55 million devices -- up 25%. This is down from the record of more than 74 million in its last quarter ... but that was just after the iPhone 6 and 6 Plus went on sale. iPhone revenue: $36.6 billion -- up 40%. The $100-more-expensive iPhone 6 Plus is catching on, so the average iPhone price that Apple is able to sell is going up. That's great for shareholders. iPad sales: 15 million tablets -- down 10%. Revenue of $6.1 billion -- down 20%. The iPad isn't destined for the scrap heap like the low-selling iPod just yet. But its popularity has waned as phones get bigger. Mac sales: 5 million computers -- up 11%. Revenue of $5.8 billion -- up 5%. The Mac is still an important part of Apple's growth story. It may not happen this quarter. But the days of iPad sales topping the Mac should soon be over. Related: Mac security flaw: Is it fixed or not? Apple Watch unit sales: 5 million. This is an estimate for Apple's third quarter based on pre-orders. The Watch just started shipping. Apple may not give any financial details yet. But analysts forecast a selling price of $469. That would wind up being $2.45 billion in revenue. Revenue outlook for third quarter: $46.9 billion -- up 25%. Investors will want to see Apple guide above that number. Under CEO Tim Cook, the company hasn't played its old game of lowballing forecasts -- underpromising so it could eventually overdeliver -- as much as it did when Steve Jobs was alive and calling the shots. China: No consensus estimate. But Apple generated $16.1 billion in sales from China last quarter. That's more than 20% of overall revenue and almost as much as Europe. Hopes for even stronger growth in China have increased since carrier China Mobile (CHL) reported solid gains in subscribers for the first quarter. But Apple is facing tough competition from upstart Xiaomi. Cash: There are no estimates for that either. 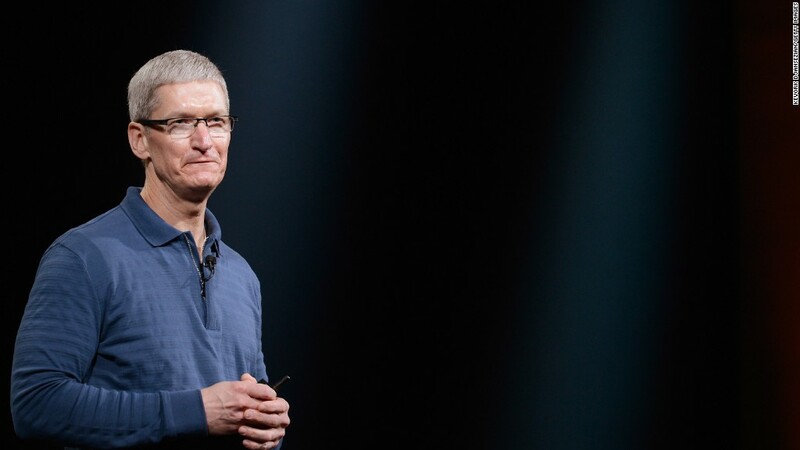 But Apple ended its last quarter with a staggering $178 billion in cash and investments. That number has typically increased every quarter. There are only 19 companies in the S&P 500 worth more than the cash Apple has in its corporate coffers. Even though Apple has already bought back a lot of stock and is paying a dividend, many investors are clamoring for Apple to do more with its cash than just hoard it.